Our 12 Seater Silver 300C Chrysler “Centre Jet Door” Stretch Limousine is ideal to hire for all occasions. Our strategic alliances with other respected limousine companies gives us access to a huge range of other luxury vehicles should the need arise. The 300C Chrysler is a late model SILVER 12 Seater “Centre Jet Door” Stretch Limousine. It seats eleven persons in the back cabin and has soft grey leather seating with a mixture of black and grey interior. 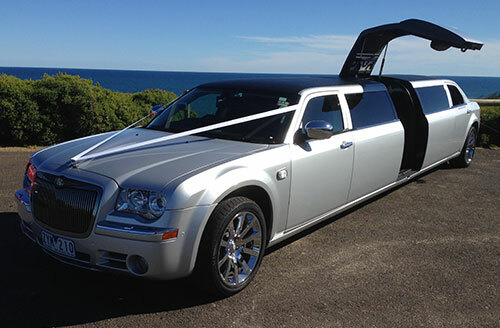 Look no further for a 300C Chrysler Stretch Limo for Hire in Melbourne. Don’t need the big 12 seater? 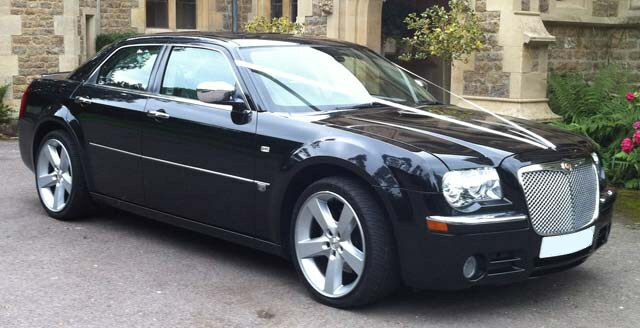 We also have a beautiful Black Chrysler 300C available for hire for all occasions. Our strategic alliances with other respected limousine companies gives us access to a huge range of other luxury vehicles should the need arise. Our late model 300C Chrysler is perfect for weddings, corporate events, airport transfers and more. Travel in style to your next function with My Limo. Look no further for Chrysler 300C Hire in Melbourne.